A trip to my favourite, London, specialist drinks' supplier, is sadly, all too rare an occasion these days. However, it was with a sense of mild jubilation that Mr TG and I escorted our little princes back to school after seemingly, endless, summer holidays and having dabbed the tears from our eyes, quickly recovered when we realised that after seven, long weeks, we were free to do whatever we wanted; at least until 3.30pm. Hurrah! We boarded the train to London and made a whistle stop tour of Borough Market, popping in to Neals Yard to purchase a frankly, huge amount of stinky cheese. Then, clutching our fragrant parcel of whiffy Stilton, headed over to Leadenhall Market where the lovely Diosa from Amathus Drinks had some new gins for us to try. 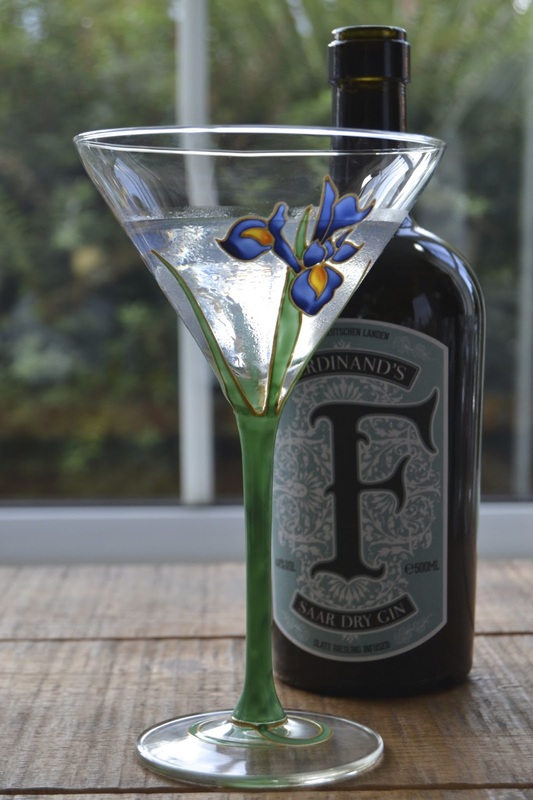 Ferdinand's Saar Dry Gin is quite unique; as well as a long list of locally sourced botanicals, including a hefty dose of lavender (always a good thing), quince and lemon thyme, the gin is given a final infusion of Reisling using handpicked grapes from the Zilliken Estate in the Saar region which straddles the borders of France, Germany and Luxemburg. 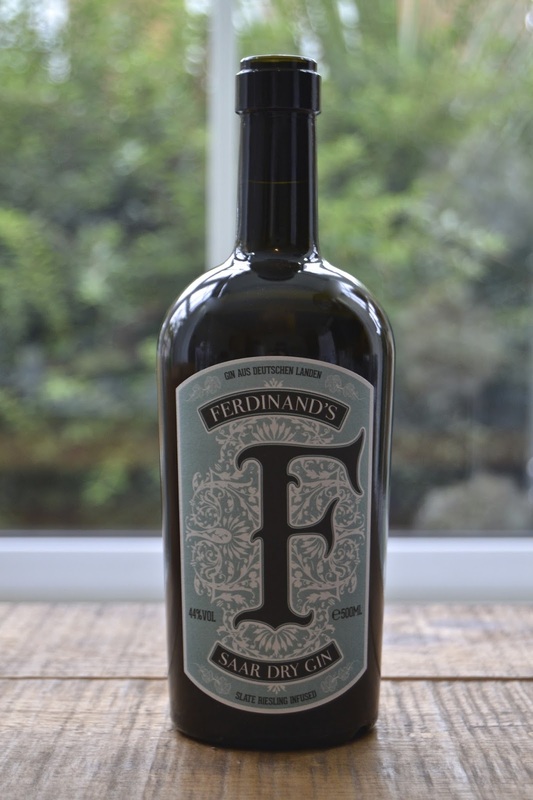 The gin owes its moniker to Ferdinand Geltz, a Royal Prussian, District Forester of yesteryear, but owes its unique taste to Master Distiller, Andreas Vallendar; the former lends an air of gravitas to the gin, but it is the latter who has really worked the magic; bringing together over thirty botanicals, most of which are picked by hand from the surrounding area, making this a truly artisanal beverage. On first tasting, I was struck by just how dominant the Resiling infusion was, giving it a distinctly 'winey' flavour, but on second sip, the lavender took centre stage. The overall impression was floral, very dry and quite unlike any gin I've tasted before - I was hooked. My immediate thought was that the Reisling infusion made it taste like an incredibly intense Martini and so, that seemed like a jolly good place to start. Whether you shake or stir, is a matter of personal taste, but in this instance, in order to preserve as much of the gin flavour as possible, I decided to stir. Add the gin and vermouth to the bottom of a shaker, with a handful of ice and stir approximately 20 times. The classic Gin and Tonic is my go to drink and is a great way to enjoy a good gin, providing you don't drown it in bad tonic. Fever Tree is one of the best and the naturally light version uses less sugar, without substituting it for artificial sweeteners. Add the gin to a chilled glass, half filled with ice and top up with a little tonic. Don't add too much as you can always add more if it's not to your taste, but you can't take it away if you add too much. The Negroni is one of my favourite, simple, gin cocktails. It combines Campari with a sweet vermouth, both of which blend with Gin to create an intensely bittersweet, herbal drink, whose flavour is subtly altered by whichever gin you use. 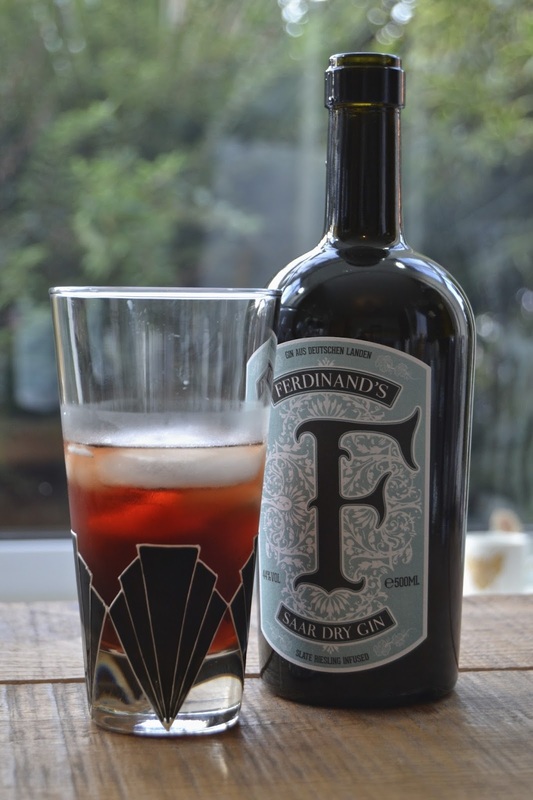 It's a great drink and works well with Ferdinand's Saar Dry Gin, although the Campari does tend to overpower the mix, somewhat. Add all of the ingredients to a chilled glass and stir with a swizzle stick, to mix. 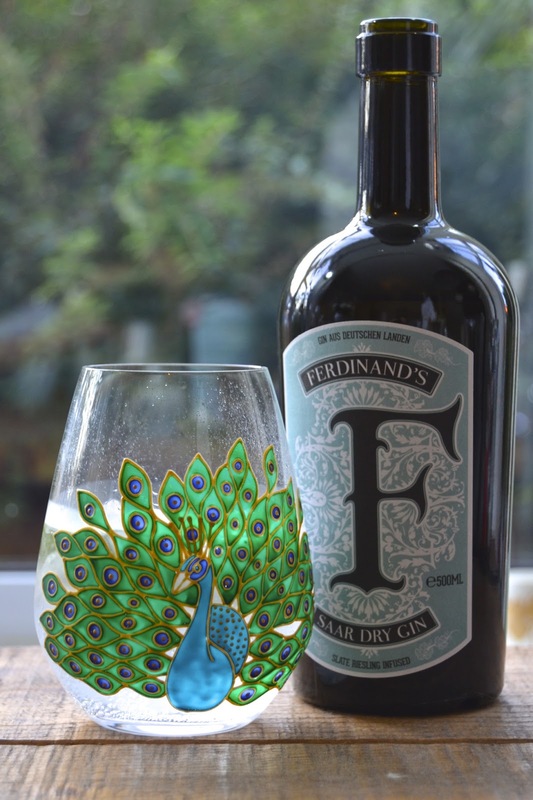 I was surprised to discover how much I enjoyed the Ferdinand's Martini, as I am not really a Martini drinker - I tend to prefer cocktails that slip down a little more easily, generally aided by something sweet and sour - but I think I may just have found the best Martini gin, ever. As a result, I am inclined to save it solely for this purpose, although I might be tempted to try a few cocktails of my own at a later date, so watch this space. I haven't seen that gin here in the states. Sounds tasty. Beautiful glasses, by the way.